INR self-testing : Where is the evidence? INR self-testing : Where’s the evidence? Preventing strokes is one of the most important priorities of any healthcare organisation. Clinic-based monitoring can be time-consuming and costly to both patients and healthcare professionals. Self-testing international normalised ratio (INR) has been proposed as a transformative model of care for these patients at risk. Recent research is providing yet more compelling evidence that self-testing is not only a benefit for health organisations, but also for the patients themselves. A recent UK based study followed 296 patients over a 12 month period. These patients self-tested their INR and received updated dosage instructions from their warfarin clinic, although in some cases patients self-managed their warfarin dosage regime. This involved patients using a hand held device to monitor their INR in order to determine their oral anticoagulation therapy dosage. Most patients received assistance with dosage adjustment (44.9%), some patients altered their warfarin dosage themselves (39.2%) and some patients did a mixture of the two (15.9%). The 12 month follow up illustrated that this service had been a success. The large majority of patients, totalling 267 (90.2%), were still keen to continue self-testing. Of those that had stopped, 4 did so due to lack of healthcare provider support and only 2 patients stopped self-testing because they were unable to use the service. What’s more is the significant improvement in health outcomes for these patients. Median time in therapeutic range (TTR) for all age groups showed that 100% of patients maintained over 70% TTR, and almost a half of patients maintained over 80% TTR. The age group that had the best health outcomes showed to be those older than 80 years (median of 90.7% TTR), closely followed by those aged 70-79 (median of 85.0% TTR). These results demonstrate that patients can successfully self-test their INR without the assistance of a nurse, and also improve their health outcomes. It also reinforces the fact that self-testing is suitable for patients at any age, and can even benefit the elderly the most (Ward et al, 2015). 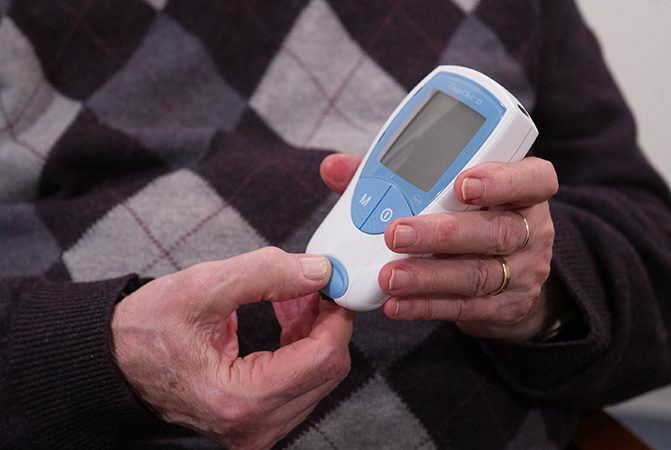 In a further study, in-depth interviews with patients who had self-tested their INR for 12 months also revealed the benefits on an individual level. One patient spoke about how they found that self-testing provided them with the freedom to live a lifestyle that they chose, and they weren’t bound to clinic operating hours and appointments: “Maintaining self-testing makes me feel like I’m a normal person and I can do anything I want”. A further patient spoke about how they felt that self-testing provided them with a peace of mind that they could check their INR levels themselves, without waiting for their next routine appointment: “If I have done something silly I can just do a quick check on it (INR)”. Overall, this study showed that self-testing was a much more favourable alternative to attending potentially inflexible, overcrowded clinics that were unable to accommodate their work, family and social commitments (Tompson et al, 2015). These are just two examples of the consistent evidence which is suggesting that patients are noticing the benefits of self-testing in terms of their lifestyle, finances and most importantly – health outcomes. To hear about our own INR self-testing service which removes the barriers of initial cost and includes integration into GP clinical systems visit our INR self-testing page, or download the brochure.